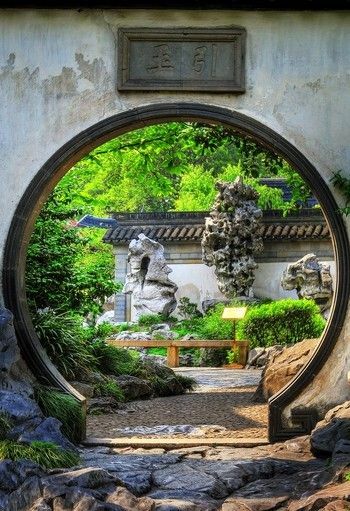 While all garden gates practically beg you to peek over, around or through them because what lies beyond is a secret space, a private place, a MOON GATE is a rather special one. 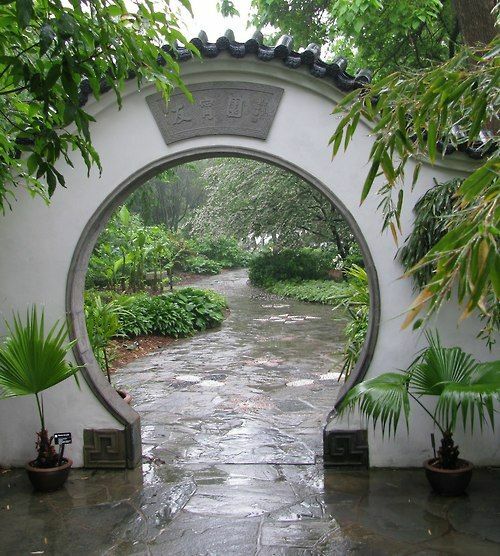 The moon gate invites you to step through, it beckons you come enter this magic world. 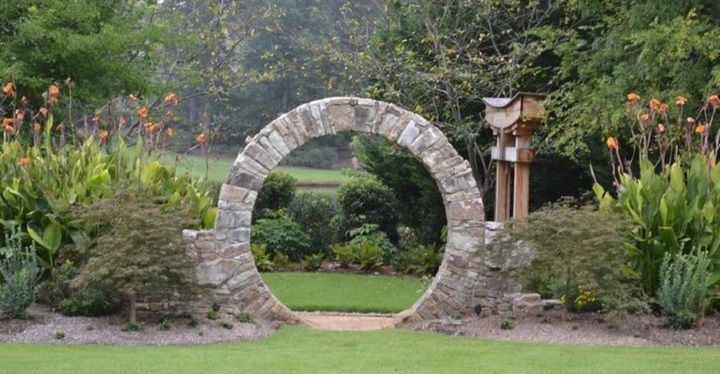 A moon gate can work for any type of garden. 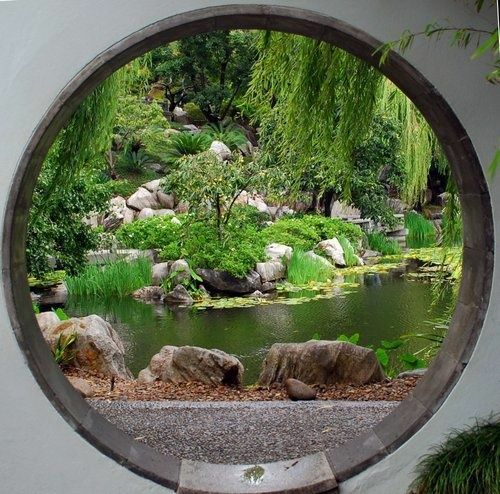 Chinese in origin they were meant to represent the Chinese summer moon and once upon a time no noble home would be without one. 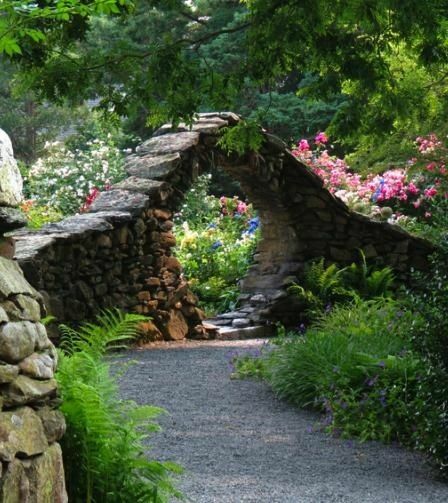 The British imported the idea to their Bermuda protectorate where a number can be found throughout the island today. 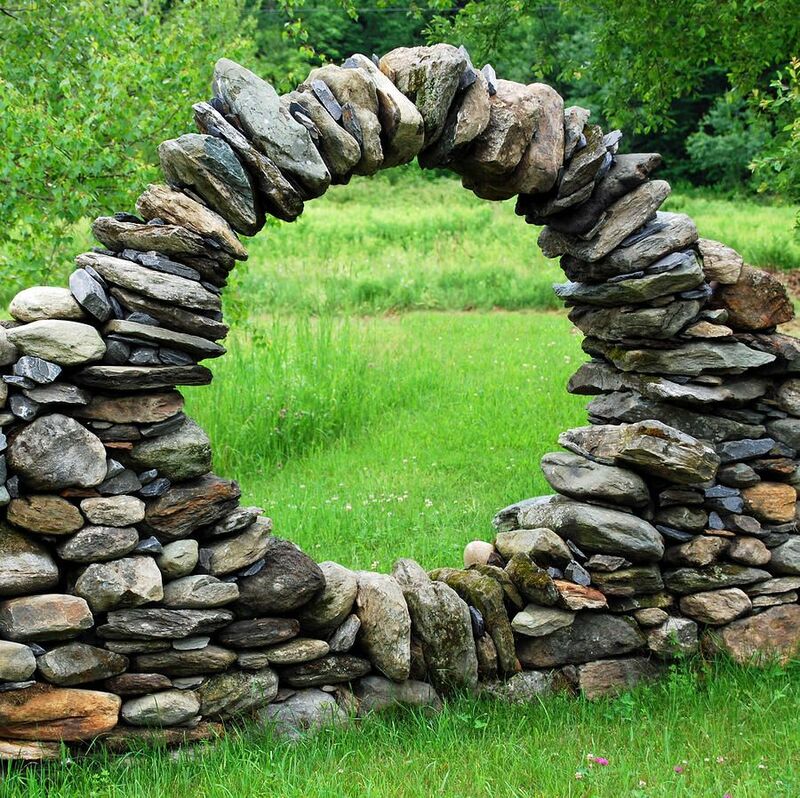 These gates are usually free standing or attached to a low wall. 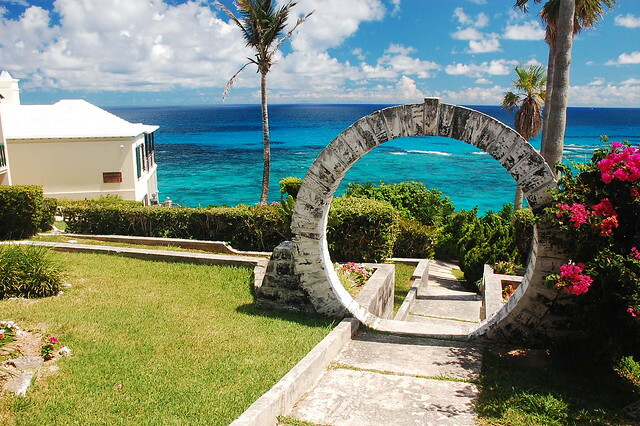 Moon gates feature in Bermuda wedding traditions today, where a bride will have good luck if she steps through one on her wedding day. 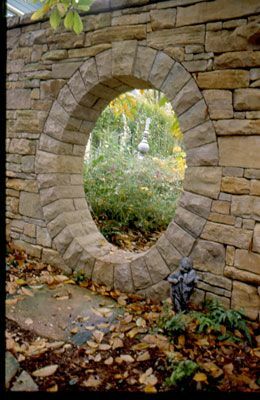 A moon gate could also just as easily take on a hobbit type of look and be the portal into an informal cottage or English garden. 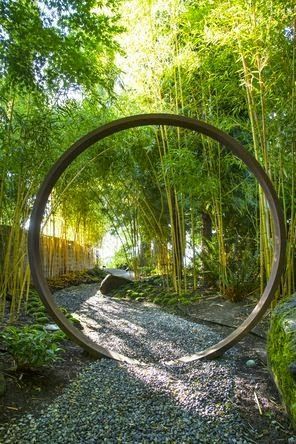 A metal or wood ring moon gate would be a fantastic entrance to a contemporary space as well. 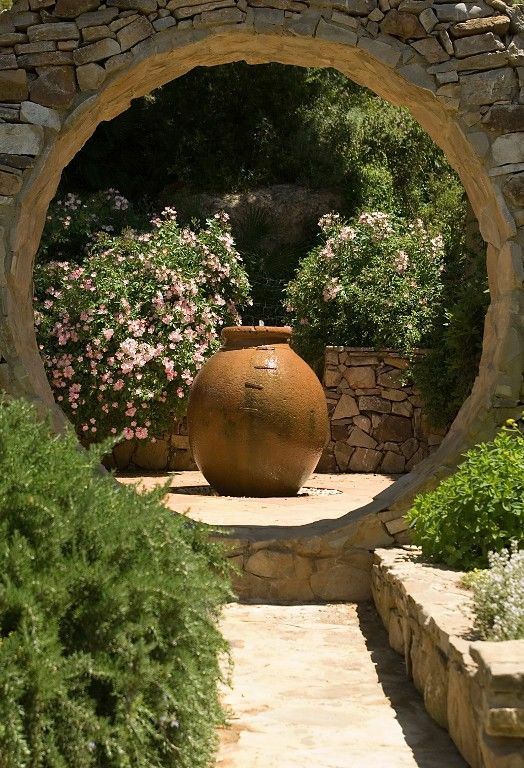 Now I want one for my garden AND I want to visit Bermuda!